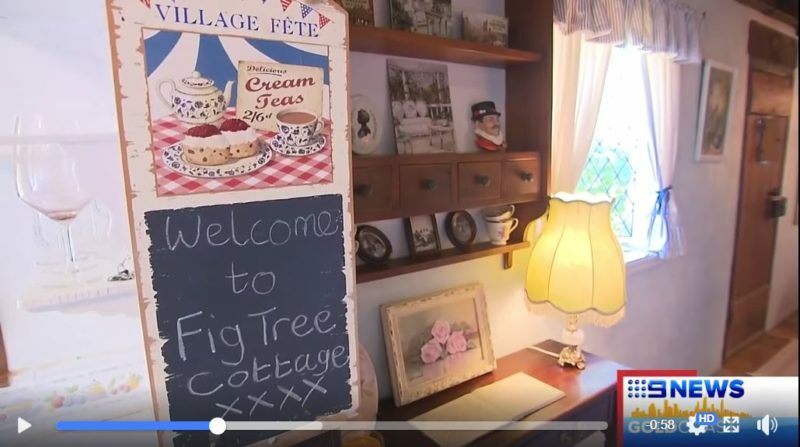 I first featured Fig Tree Cottage nearly 10 years ago when its owner Alison wrote me about her charming little home. 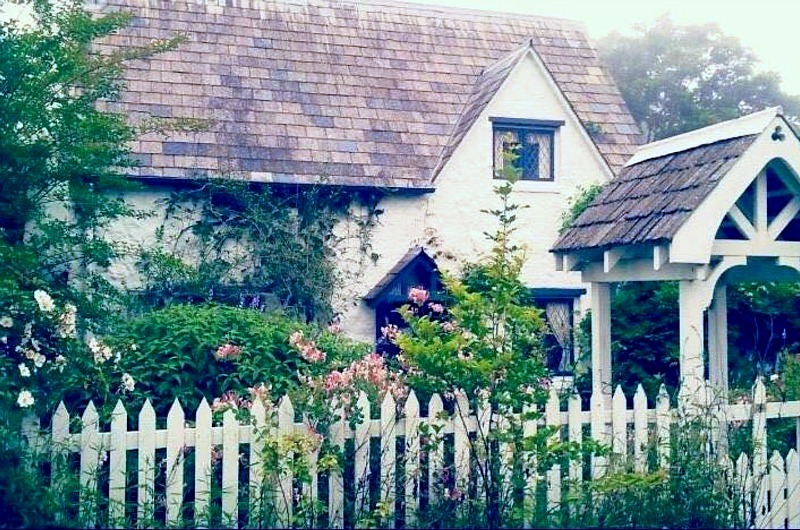 The minute I saw the photos of the cottage’s steeply pitched roof, diamond-pane windows, and white picket fence, I was smitten. 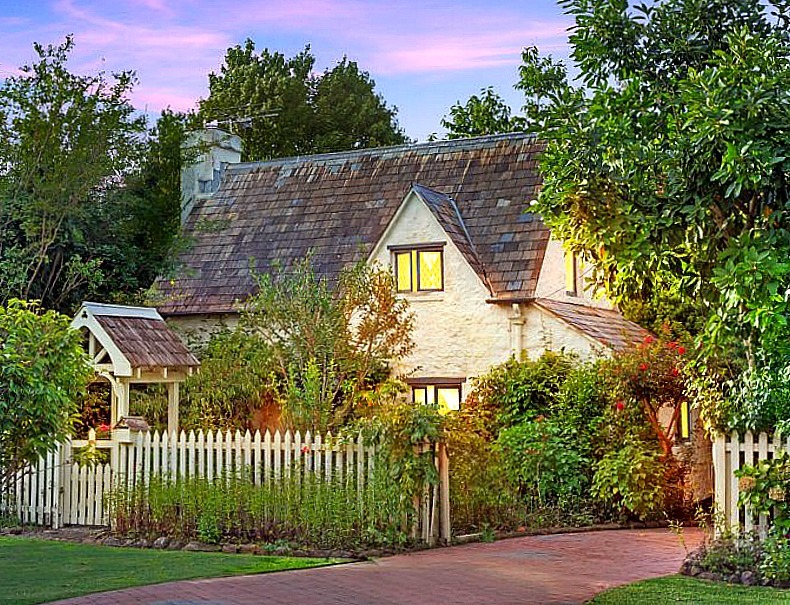 At first glance I assumed it was an old English cottage. So I was surprised to learn it was actually built in 1988 in Queensland, Australia. 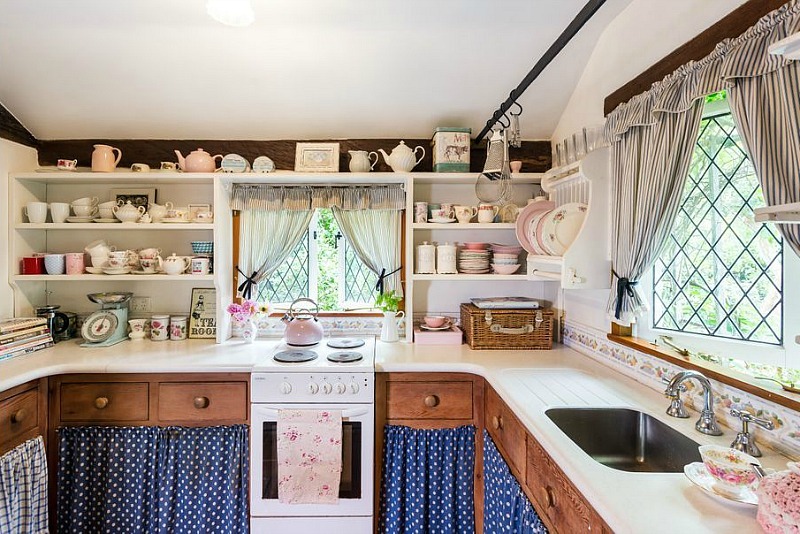 The builder spent time in the U.K. learning how to construct a traditional Cotswold-style cottage so he could recreate the look of one. I’d say he pulled it off! 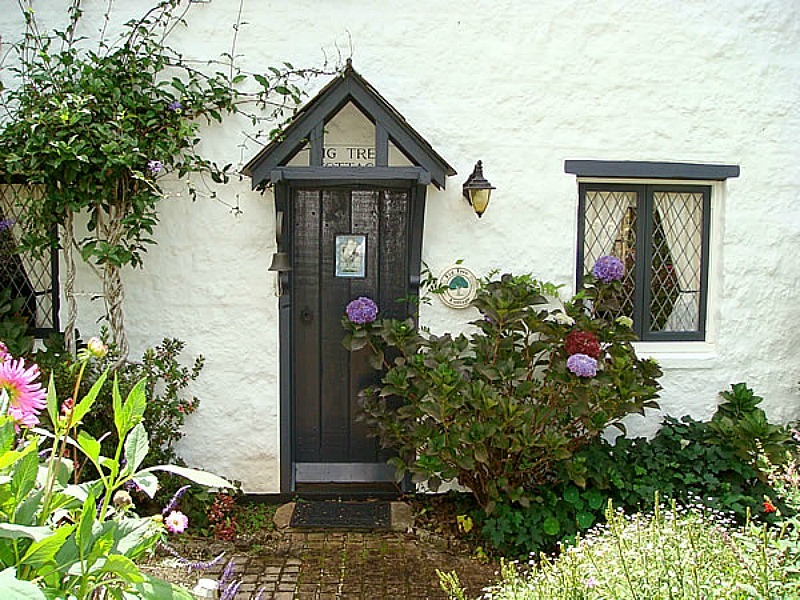 Alison just contacted me again to let me know she’s made the tough decision to sell Fig Tree Cottage. Keep scrolling to take the tour. 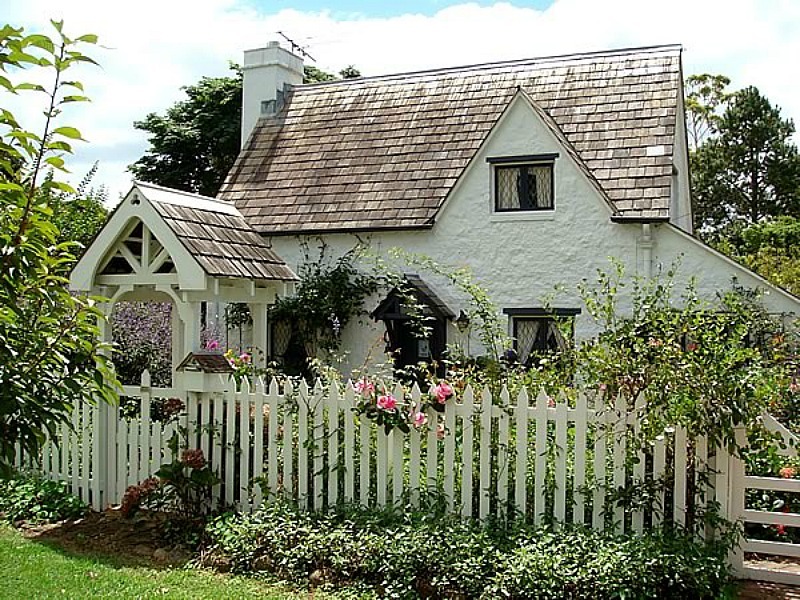 The white picket fence is, though! Picture this. 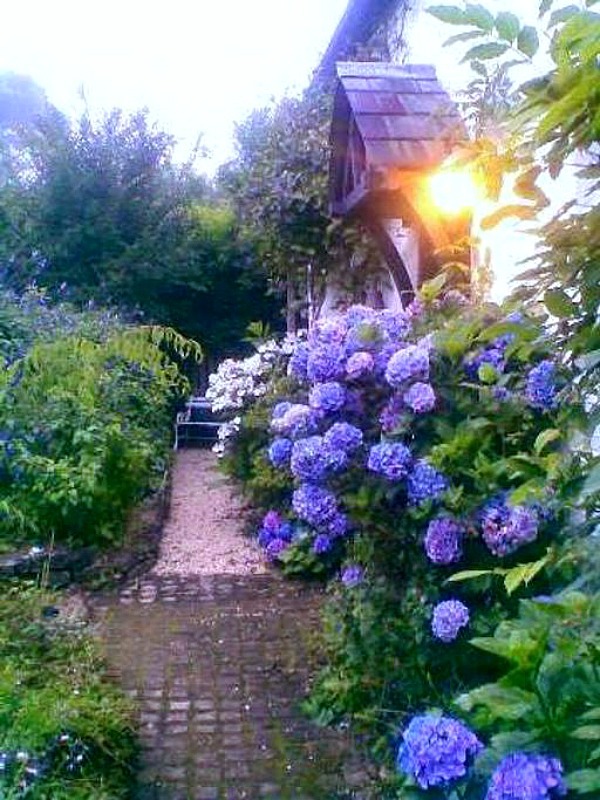 It’s a rainy Sunday afternoon in late May. You can see a light drizzle coming down amongst the orange, autumn leaves of the picturesque garden. 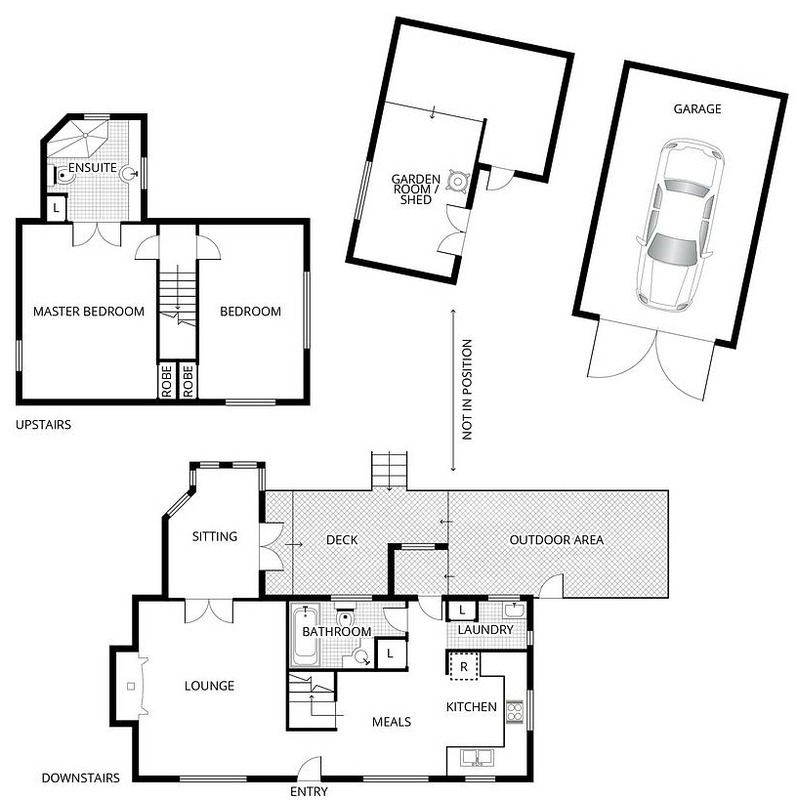 You’re curled up on the couch in front of the warm brick fireplace. 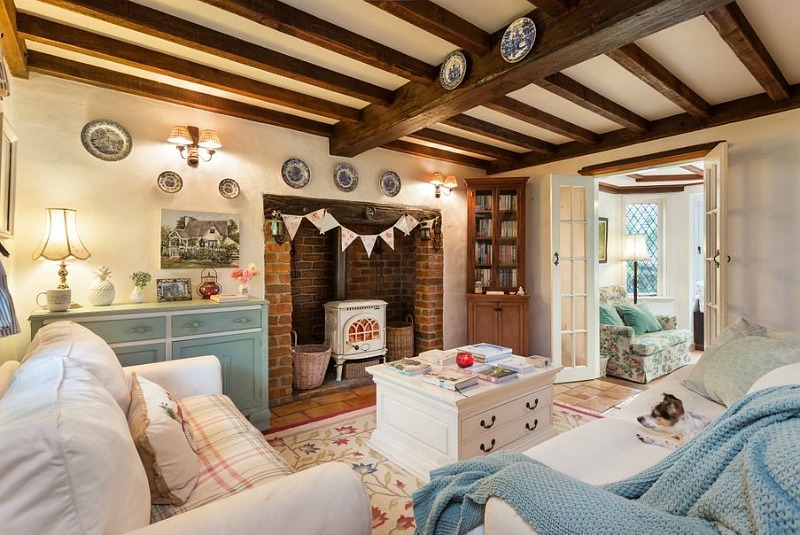 The exposed timber beams and stunning rustic feel of your cottage make the room feel especially cosy. You’ve got a book in hand, however, an afternoon nap is not totally out of the question. 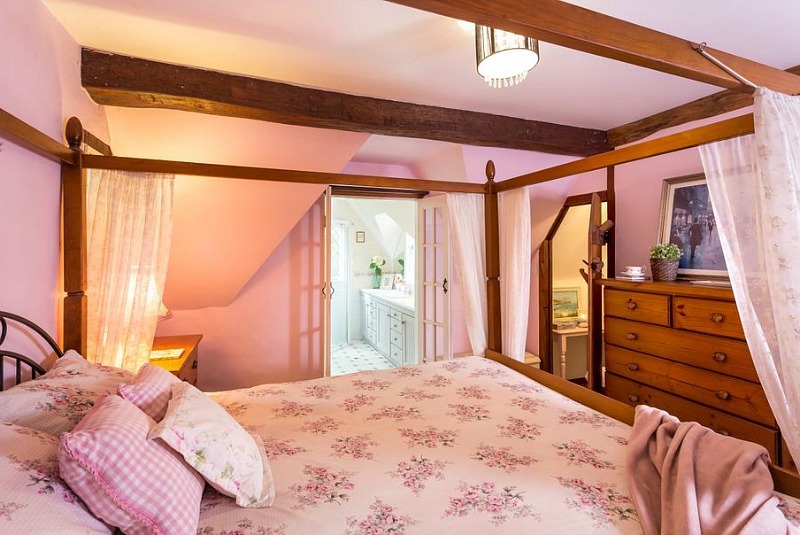 A romantic and magical feel is achieved through the two-bedroom property’s delightful country gardens, exposed timber beams, combustion wood fireplace, dormer windows and cosy interiors. 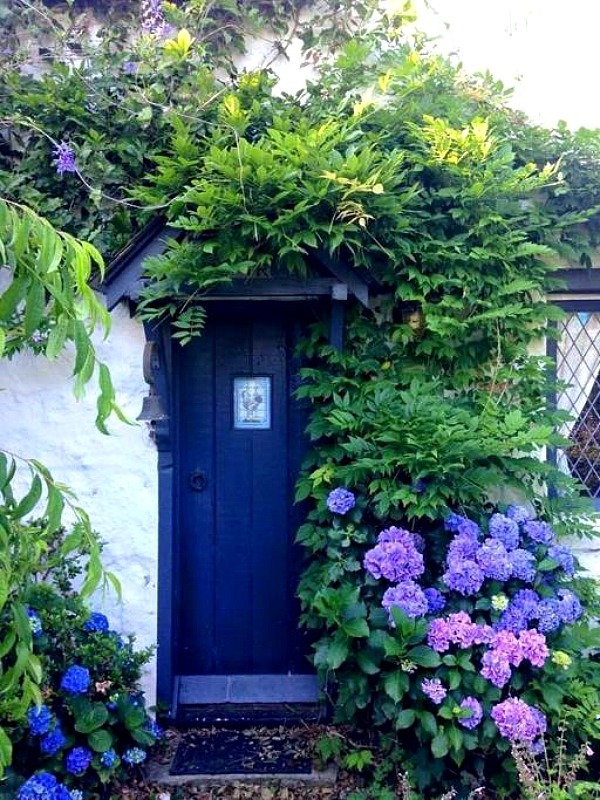 All this is set behind a picture perfect white picket fence. 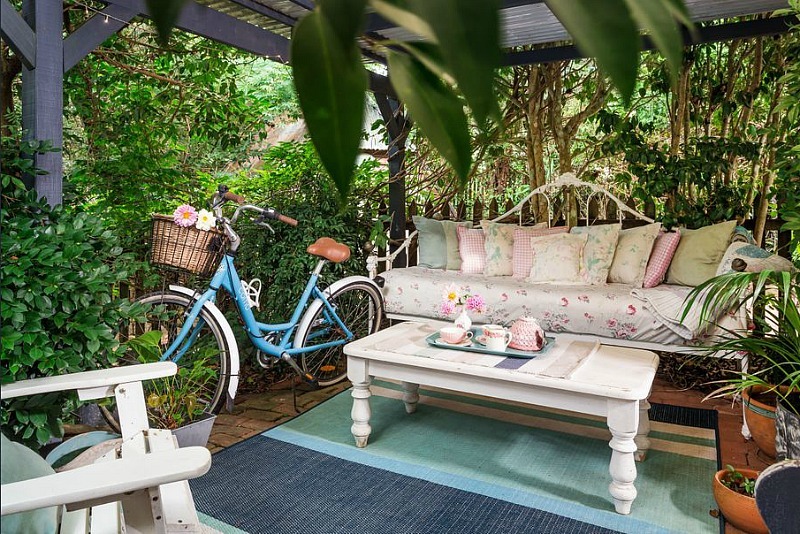 “The owner has lived her fairytale dream at the cottage for almost 10 years,” said listing agent Ivana Reich. 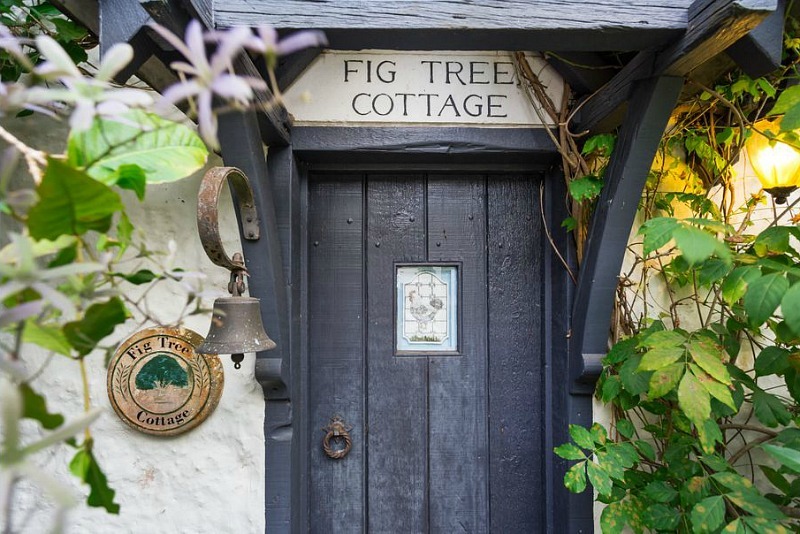 Fig Tree Cottage has 2 bedrooms and 2 baths. 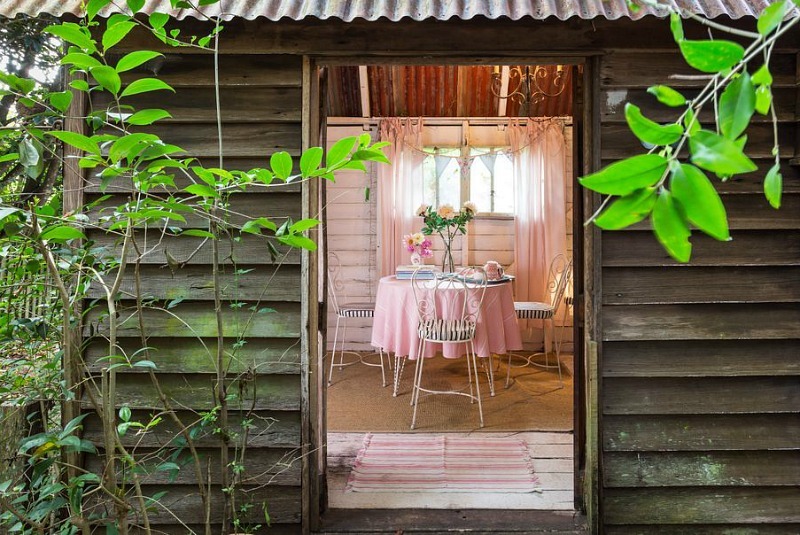 The agent says the property would make the perfect Airbnb. 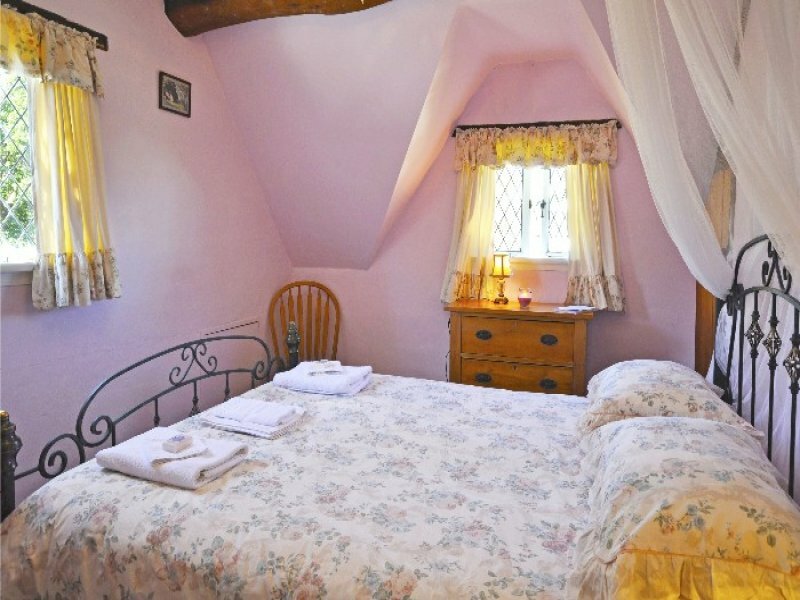 Alison has been renting it out herself, and you can imagine how popular it is with visitors. 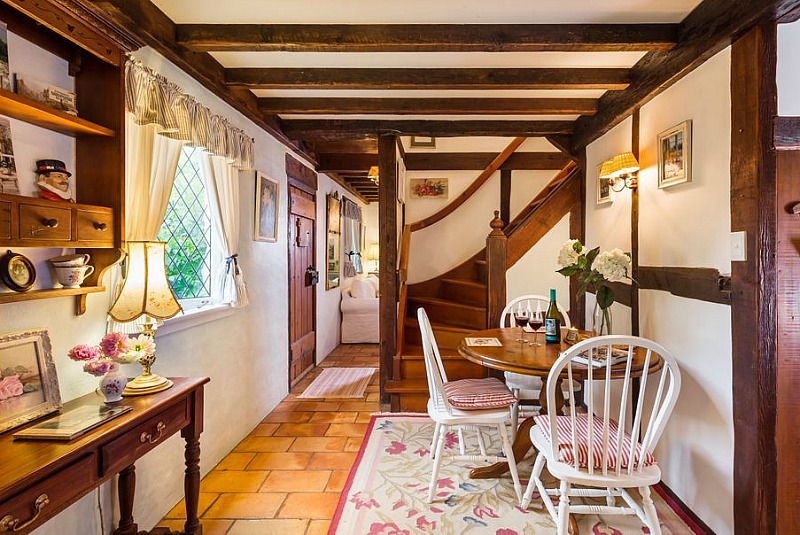 This exquisitely captivating Cotswold Cottage was lovingly hand-crafted to replicate all the most enthralling features of Old World living. 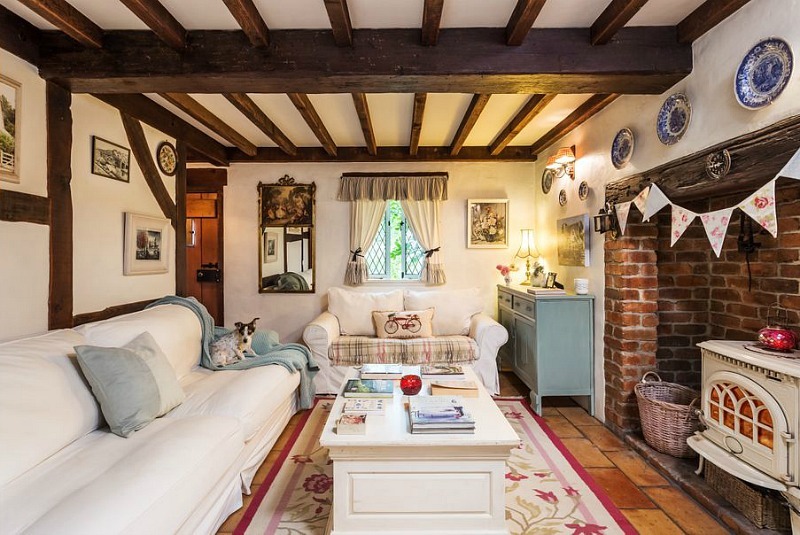 Quaint little doorways, heavy timber beams and dreamy upstairs dormer windows combine with the timber stairway and huge old brick fireplace to create an enveloping sense of cosiness and warmth. 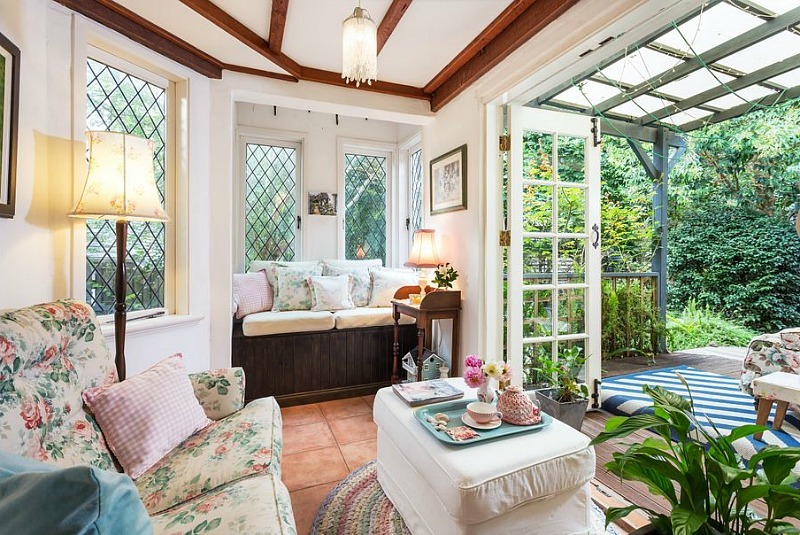 Polished timber floors on the upper level and quarry tiles on the ground level are perfect with the English cottage decor. The name Tamborine Mountain is of Aboriginal origin and has nothing to do with the tambourine musical instrument, just in case you’re wondering (I was!). Sounds pretty dreamy to me! If you think you might be that person, check the Hutton & Hutton listing held by agent Ivana Reich. You can also watch the video of the cottage shown on a local news station and read the article at Realestate.com.